The National Weather Service has issued a Flash Flood Warning for parts of the Ark-La-Tex, including Bowie and Cass Counties in East Texas. Listen! The Texarkana Texas Police Department has arrested a 21 year old Maud Texas man and charged him with Aggravated Assault with Serious Bodily Injury and Possession of Drug Paraphernalia after an attack on a local hotel clerk. 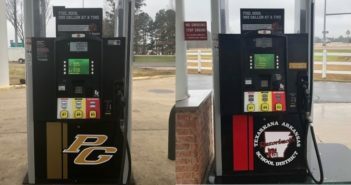 Elections are scheduled for May 7 for DeKalb and Maud, Texas with a variety of offices being contested and in Wake Village voters will decide on an election on beer and wine sales. Texarkana Arkansas voters could soon decide to allow alcohol sales on Sundays in the city. 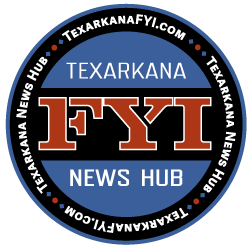 The Texarkana Arkansas City Board of Directors will decide on a resolution to allow sales in city Liquor, Grocery, and Convenience stores on Monday. What do you think? The Stray Cat Alliance – Texarkana has sponsored the cats housed at the Animal Control & Adoption Center to be fully vetted and offered up for only the city adoption fee of $20. Miller County authorities have arrested 34-year-old Lucas McCarley and charged him with negligent vehicular homicide in connection to the death of his wife, Casey McMillan McCarley. Be warned, do not attempt to burn in windy conditions. Volunteer Fire Departments from Wake Village and Liberty Eylau responded to a fire call in the 5700 block of Evans Road in LE and arrived in time to save a nearby home. TTPD arrested 56-year-old Jerry Mangus, of Texarkana Texas, yesterday afternoon at approximately 3:40 after he fled from a vehicle crash at the intersection of W. 7th Street and Texas Boulevard. 37-year-old Kristi Brown of Hope Arkansas was arrested by investigators in the Hope Police Department for 3 counts of sexual assault in the first degree.